Casa Viva is a leading chain of decoration stores in the field, which offers a wide range of products for the home. After more than 60 years of history, it distributes more than 4,000 references through its network of 45 shops throughout Spain and Andorra. Casa Viva belongs to Gerplex group of more than 250 people who work in the search of new products and solutions to cover needs in the home. 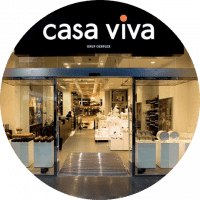 For Casa Viva to control all its products and inventories in its shops and stores meant a great investment in terms of time, staff and machinery. As all product companies that have shops, stores and warehouses, Casa Viva manages a large number of products. With the app2U bespoke app, its workers take faster and more economically inventories by controlling all their references. Casa Viva had the need to take inventories by investing the less time as possible and in a much cheaper way. At that moment Casa Viva, being pioneer in technology, had already sought alternatives to the slow processes of taking inventories manually. That is why it was using barcode readers to conduct stocktaking of their locations: areas, shops, stores and warehouses. 1. Slowness in taking inventories: workers were spending many days of work to carry out the stocktaking. 2. Rent/Buy very expensive barcodes readers. Altough it sped up the manual process considerably it also increased the budget for taking inventories. 3. Shortly stock control. As the process of taking inventories was very long and expensive, workers did stocktaking just in a few occasion per year to save money. So that the stock was little controlled. When Casa Viva realized that they could improve and speed up the way how the company and its employees work, they decided to contact with app2U, experts in business apps. After analyzing Casa Viva’ needs and requirements, app2U recommended to develop and deploy a fully customized app, which would allow them to take inventories quickly. 1. Speed up the process of stocktaking from days to seconds. Thanks to two simple steps: the quickly scanning with the camera of a mobile device and the easy introduction of the quantity of products in the location. 2. Implantation of iPod devices. We did an intensive search of the cheapest mobile device that could cover the needs of the app: webcam, agility and mobility, data security and wifi connection. 3. Comprehensive stock control. With the ease and speed of the app, workers take inventories more often having much more control of products and references. Implantation process was very fast and simple. From app2U, we installed the custom app on all iPod devices of Casa Viva and in less than two weeks all its workers were using this app in its maximum magnificence. Being an easy and intuitive app in its use, it was very easily adapted in the day to day of employees. This app was tailored to the company to speed up the process of taking inventories thanks to iPods’ mobility and the ease and speed of the app itself. That is why, different companies of products’ distribution, especially of decoration and home furniture, have seen their potential and have decided to implant this same app in their businesses.